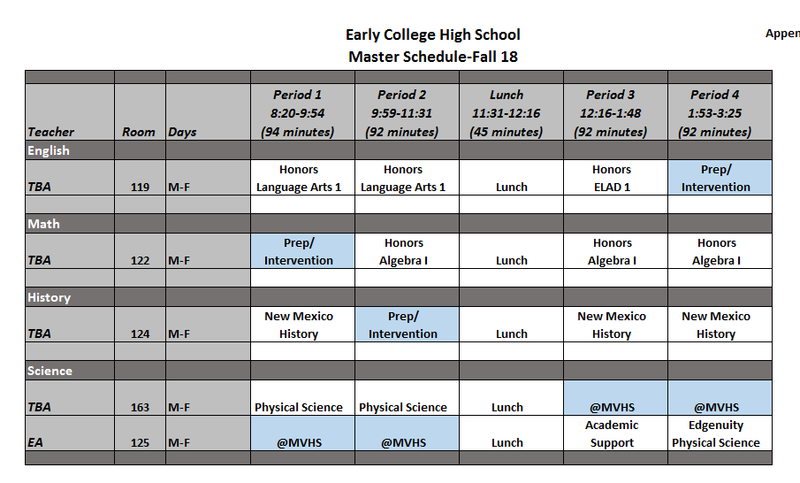 The Early College High School will have a 4 X 4 Block schedule with 90 minute class periods. 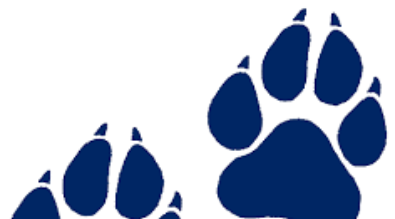 Each class will be one semester long. Having only 4 classes to focus on each semester allows students to dig deeper into the content and it also matches the college schedule. Buses will run from the DHS hub over to the Early College High School and back. 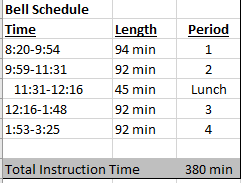 School will end at 3:25pm to allow time for bus students to get back to the DHS hub. 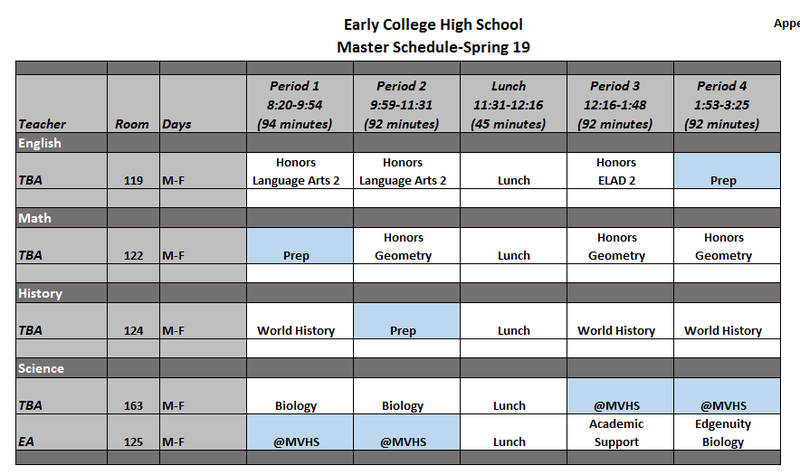 This is a tentative schedule that will be adjusted once student rosters are set.